When the National Transportation Safety Board (NTSB) deems something a “national safety issue” we should take notice. No, we aren’t talking about a recent epidemic, we are talking about speeding. Believe it or not, speeding continues to be a persistent problem among drivers. Many believe it is due to impatience and wanting to get from point A to point B without any regard for safety. 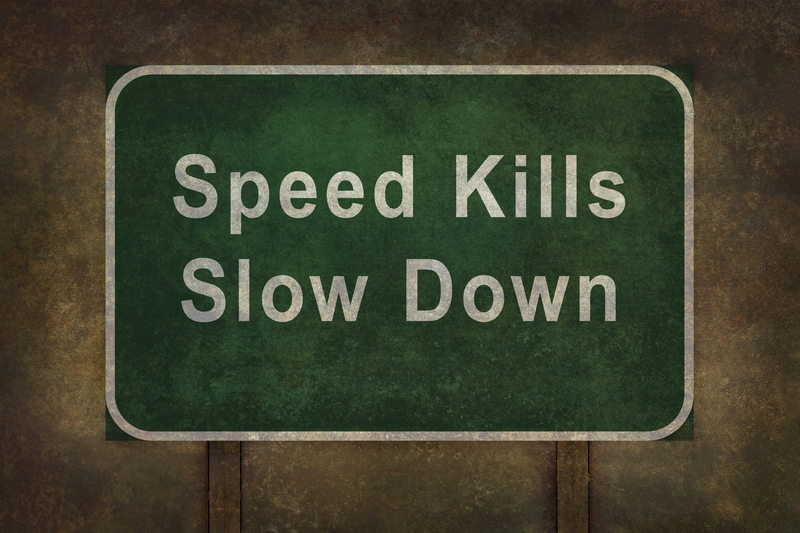 Speeding is the reason 112,500 lives were lost in automobile accidents from 2005-2014. And the most recent findings for 2016 only echoes this statistic with speeding being a top killer of drivers. Unfortunately, with numbers increasing, the NTSB has labelled this problem as a national safety issue. From the nine-year study, this statistic represents a third of all traffic fatalities; roughly equal to the number of alcohol related crashes during the exact same period. Unfortunately drivers don’t believe speeding is any worse than driving impaired. The NTSB understands why many may feel this way as there are no nationwide education programs that address the dangers of speeding. In response to the minimal education, the NTSB has urged the NHTSA to develop a campaign to raise awareness about these risks. The NTSB has tried deterring and raising awareness of speeding to drivers by placing speed cameras in what many believe to be dangerous intersections. By doing such, the speed cameras change the behaviors of drivers and essentially reduce accident death / injury. Currently there are only 14 states and the District of Columbia who utilize speed cameras. Georgia is not one that has mandated laws that utilize speeding cameras. Those against speed cameras believe that a driver’s speed may be reduced at those specific intersections, but their overall behavior to speed will not change. Unfortunately, those who continue to speed are the ones who are hurting and killing others (i.e., innocent victims who don’t speed) far too often. We have seen countless victims sustain life-long injuries because of speeding drivers. We have been dedicated to helping these innocent car accident victims get justice for those negligent and irresponsible drivers. At Kaine Law we strive to help our clients receive fair and decent compensation for their injuries. If you have been involved in an accident that was due to speed, please contact our office immediately.